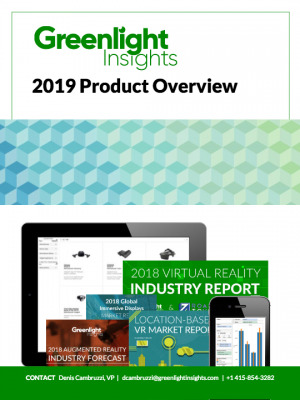 The following is part of our Virtual Reality Intelligence Service and Augmented Reality Intelligence Service, which includes forecasts, data, and key insights about the virtual and augmented reality technology market. CES 2019 was, as always, an overbearingly huge event filled with diverse offerings. Once again, the conference served as a venue for companies large and small to present a case for their product or service, and its potential to influence the greater industry. One such company, Chirp Microsystems (acquired last February by Japanese electronics giant TDK), exhibited its compelling tracking system, the SonicTrack sensor solution, with designs on disrupting xR control interfaces. As its name suggests, the system uses ultrasonic emitters and receivers (in conjunction with traditional IMU data) to enable 6DoF controller tracking for standalone xR hardware. Ultrasonic tracking systems such as Chirp's emit waves at frequencies above audible human range to gather "highly accurate" 3D data to within 1m of the HMD, using a process similar to echolocation. According to TDK, this approach has several advantages over more conventional optical-based systems, such as those used in the Windows Mixed Reality line of HMDs and the upcoming Oculus Quest. 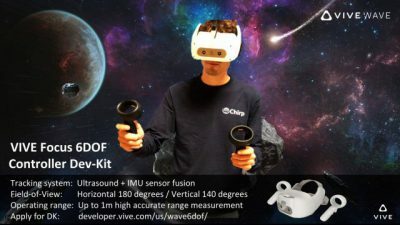 Alongside its latest high profile client, HTC Vive, TDK asserts that the SonicTrack system enables "ultra-wide field-of-view, inside-out controller tracking for mobile VR/AR at 1/1000 power of other solutions". 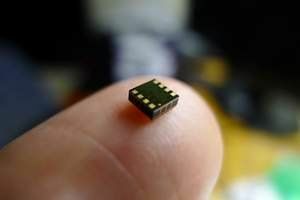 This would also make the system well-suited to provide tracking on a future generation of headsets powered by energy-efficient, purpose-built SoCs like Qualcomm's XR1 platform. However, it is important to note that these optical systems perform dual roles, providing tracking information for both head-mounted units and controllers, whereas the Chirp system serves only the latter. The Vive Focus still employs a more traditional optical inside-out system to enable 6 DoF in its head-mounted unit. HTC, however, is not the first company to opt for an alternative to optical tracking systems, which can be difficult to engineer and bring with them a necessarily higher computational load compared to ultrasonic. Chirp also provided the controller tracking solution for the Pico Neo, one of the earliest standalone 6.6 DoF (6 degrees tracked across both the head unit and controllers) headsets. Despite its greater economic value, the solution generally was less successful than optical systems in maintaining positional accuracy over time, and latency was noticeable under certain conditions, as experienced by Greenlight Insights analysts, and reported on by other independent outlets. However, if investment from large companies like TDK (and OEMs such as Pico) continues, ultrasonic tracking solutions could improve over a short period of time; analogously, optical tracking has improved significantly since the early days of consumer products such as the Kinect sensor. 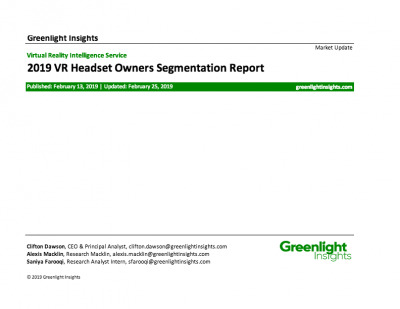 The likelihood of such a scenario would be significantly influenced by popular reception of the Oculus Quest, the first 6.6 DoF standalone marketed to consumers. Meanwhile, the exploration of such a solution is still worthwhile in the nascent market of standalone 6.6 DoF HMDs. 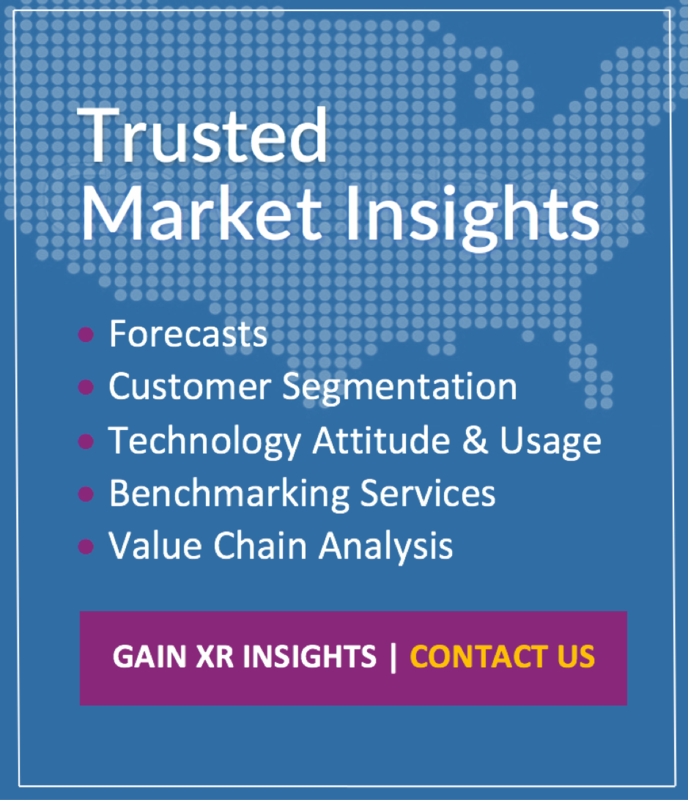 With the prospect of a lower cost for OEMs and lower computational requirements for engineers, ultrasonic tracking remains a competitive possibility for xR tracking that should not be discounted. The receive access to ongoing research & insights, contact sales to inquire about our Intelligence Services.